The Federal Bureau of Investigation is proud to announce the first course in their Cyber Investigator Certificate Program (CICP). This course is designed to teach law enforcement first responders how to survey and secure today’s crime scene with an increasing amount of digital artifacts. The goal of this course is to improve a first responders’ technical knowledge by focusing on the investigative methodology specific to a cyber investigation and thereby reducing errors. 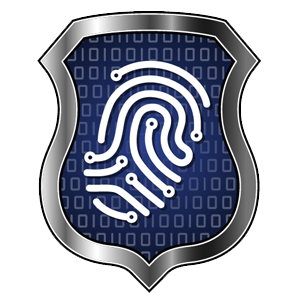 Bringing together the expertise of Carnegie Mellon University, the FBI’s Cyber Division, and the International Association of Chiefs of Police (IACP), the self-guided online program is available to all federal, state, local, tribal, and territorial (SLTT) first responders. All you need is an account on the FBI’s Law Enforcement Enterprise Portal (LEEP) and you can take the 6+ hours of training as your schedule permits. There is an assessment at the end of the training and upon successful completion, you will receive a certificate. The CICP development team announces the release of Level 1, a four-investigation course designed for beginning to intermediate detectives. There are four (4) Investigations within the Level 1 Curriculum, Digital Harassment, Online Fraud, Child Enticement, and Identity Theft. The Course Introduction and all four investigations are now available for you. Further details about the entire course can be found by reviewing the Course Introduction modules. The training mixes technical training given by the CICP Development with procedural and instructional training delivered by Subject Matter Experts from the FBI and private industry. Students will learn and practice the skills they need to conduct this and related investigations and then will have the opportunity to apply those skills as member of the investigation team. Though not a prerequisite, we recommend that all novice investigators complete the First Responders course prior to taking the Level 1 course. CERT STEPfwd combines extensive research and innovative technology to offer a new solution to cybersecurity workforce research and development, helping practitioners and their teams build knowledge, skills, and experience in a continuous cycle of professional development. The goal of this approach is for cybersecurity professionals to gain relevant knowledge, skills, and experience to successfully and effectively perform their duties, individually making improvements and collectively moving the organization forward. The platform enables the CERT Division to test new technologies and content to better understand how to rapidly advance the state of practice for cyber workforce development. Provide your organization with a tailored, specific cyber security curriculum. Access a rich library of cyber security and information assurance content. Put yourself in the classroom to attend lectures, watch demonstrations, and conduct hands-on labs. View and manage your organization as they progress toward their workforce development objectives. The training begins with a message from FBI Director James Comey and ends with a message from IACP President Richard Beary. The training uses the “you are there” style where you can see the instructors and follow the presentation as though you were in the classroom. For assistance, please send an email to cicp@ic.fbi.gov or call +1-888-334-4536 or +1-225-334-4536 (international)..
CICP © 2012-2019. All rights reserved.